Instagram has garnered a lot of buzz as a marketing channel over the past couple years, and that buzz is only on the rise thanks to new ad capabilities. What you may not have considered, however, is how Instagram content actually improve your email marketing efforts. 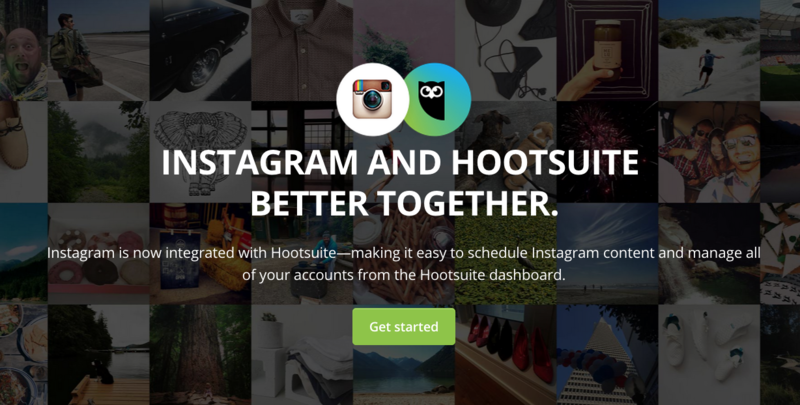 Have you ever incorporated Instagram into your email campaigns? What strategy did you employ? What were the results? Discuss in the comments. Considering that email is one of the best marketing channels for the holiday shopping season, now might be a good time to consider how you can improve your campaigns using Instagram. Marketing services firm Experian recommends incorporating Instagram into email campaigns by adding the Instagram follow button, encouraging #hashtag engagement, featuring select photos from customers (possibly from #hashtag campaigns), and using it for contests. The followers that brands build up on Instagram may be substantial, but often it’s not even close to the number of subscribers a mailing list can reach. With email, you have the ability to segment your list and deliver the right content to the right people. In contrast, with Instagram, every follower sees every picture you post, which makes it harder to target specific audiences. Conversely, email lacks in many of the areas where Instagram thrives. Whereas Instagram filters have a profound visual impact, emails aren’t always backed by a budget that allows for impressive design. What’s more is that, by default, the user engagement is just not visible in an email the way it is in an app, which makes it a challenge to get users excited about your products or promotions. And of course, without real-time content, you’re sending static emails that are quickly out of date. He goes on to recommend incorporating live Instagram feeds into email campaigns. Check out his article on the subject for some specific use cases, which include examples from a restaurant, a travel company, and a college. Curalate and Movable Ink have an infographic out (via MarketingProfs) that explores this very topic. According to that, while 76% of emails include social media buttons, just 14% use social images. Marketers appear to have difficulties incorporating social feeds into email. Silos, analytics, data collection, and varying databases also pose obstacles. According to Curalate and Movable Ink, people notice when marketers bring Instagram images into the email experience. It says one fitness retailer generated a 7x lift in on-site engagement after featuring editorial-style images from Instagram in an email. He went on to discuss a contest held by Saks Fifth Avenue utilizing an automated feed of the latest Instagram photos, promoting a specific hashtag to its subscriber base. This, he said, guaranteed more customers would engage with the campaign. Earlier this year, we had a conversation with Yesmail’s Jason Warnock about the benefits of incorporating social media into email campaigns. According to him, there are three main benefits: acquiring new subscribers, better ROI measurement, and identifying who is sharing your content. Read more about that here. Email marketing was a major driver of ecommerce during the holidays, while social didn’t play as big a role. Perhaps with better integration of the two channels, efforts in both will prove more rewarding. Do you see opportunities to get more out of your marketing efforts by integrating Instagram with email? Are you better off integrating different social media? Share your thoughts in the comments.